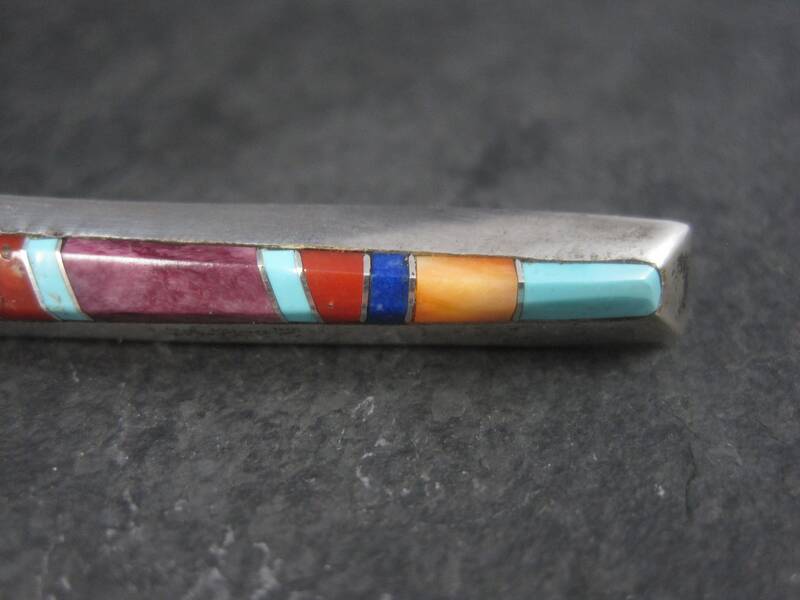 This beautiful 90s Southwestern brooch is sterling silver. 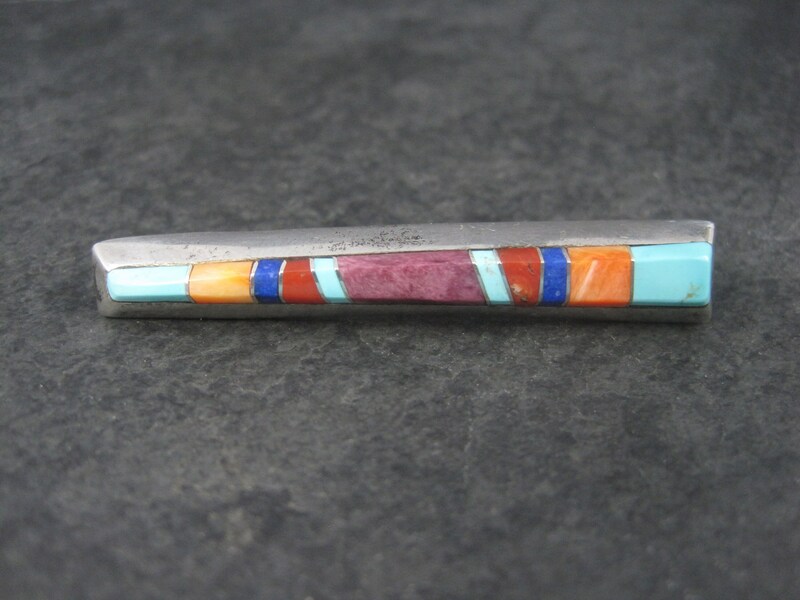 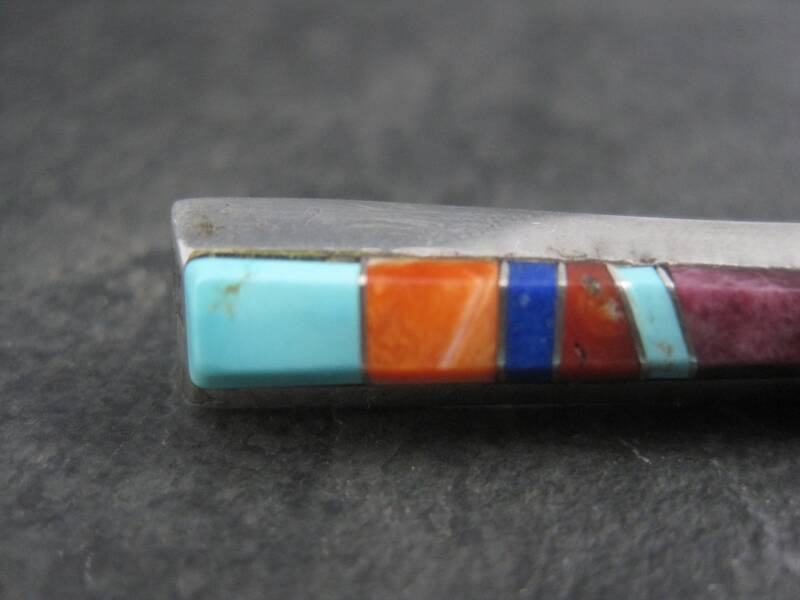 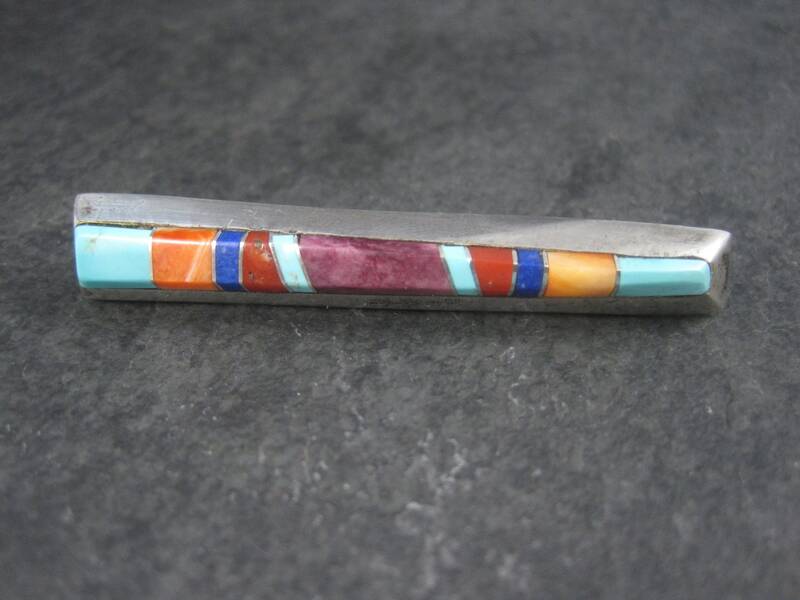 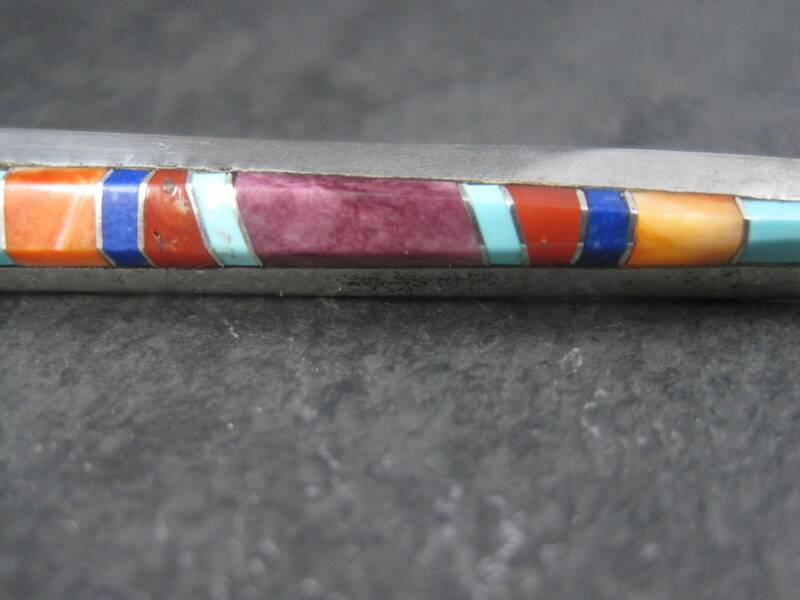 It features turquoise, orange spiny oyster, lapis, coral and purple spiny oyster inlay. 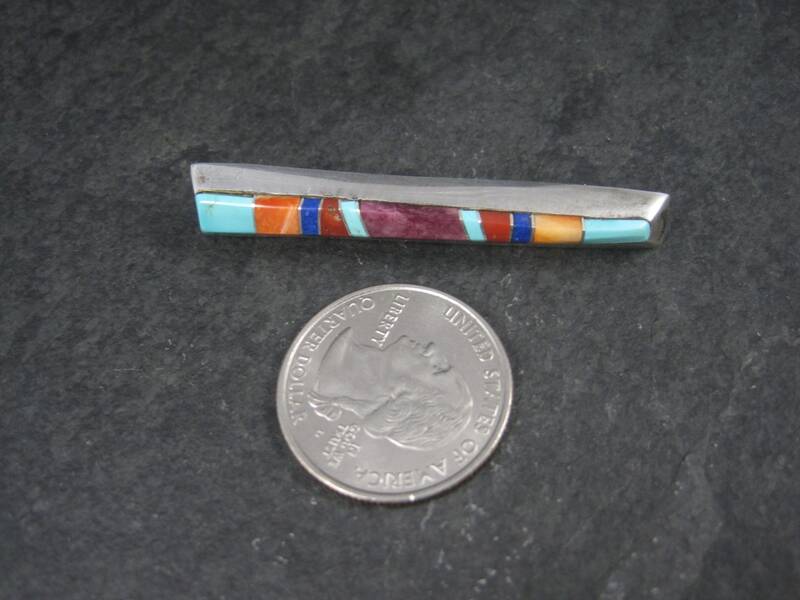 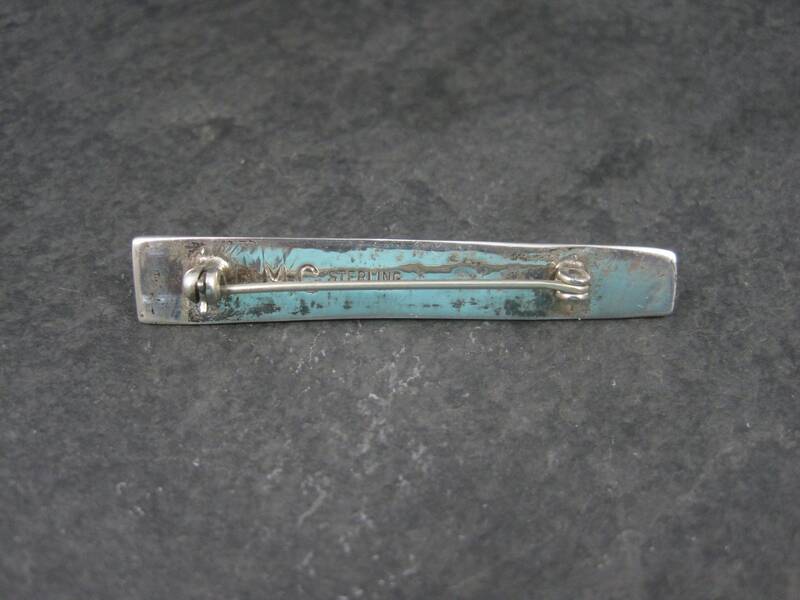 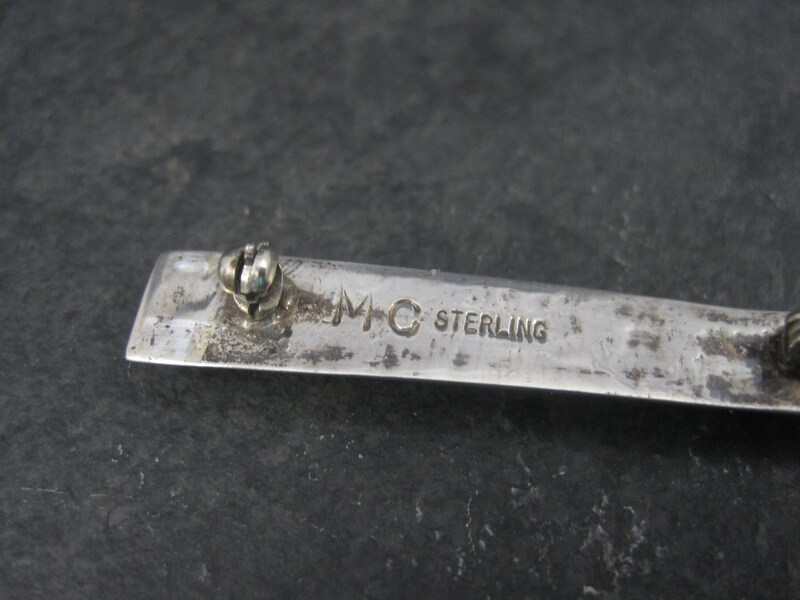 This brooch tapers from 3/8 of an inch to 1/4 of an inch wide. 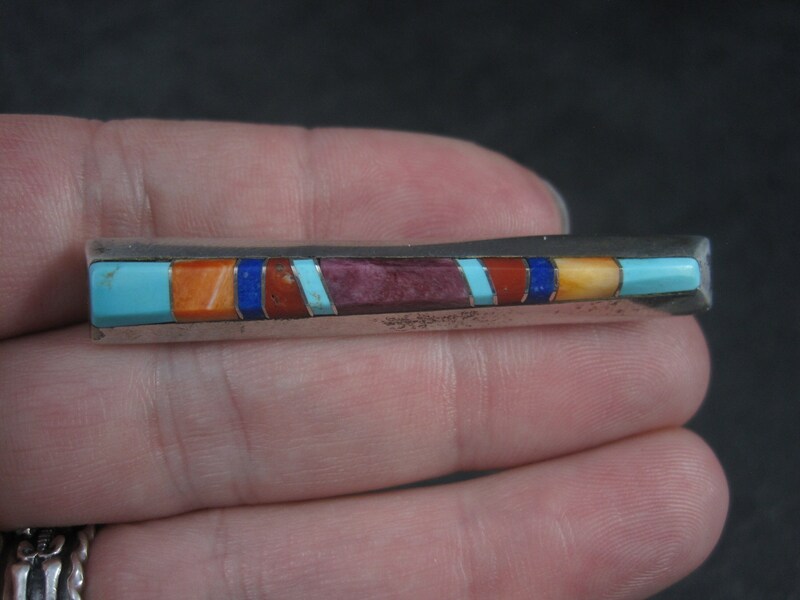 It is 2 1/16 inches long.